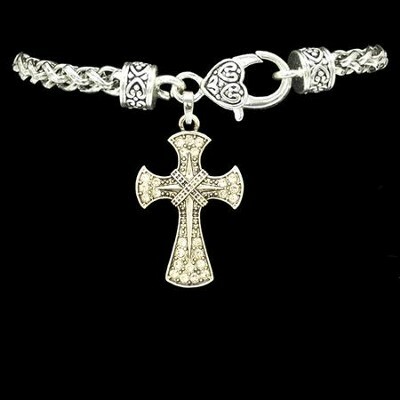 Fashion cross bracelet is made from pewter and zinc; Bethlehem cross with sparkling crystals. 7.5" chain with lobster claw clasp. Lead, nickel, and cadmium safe; protected from tarnishing. Made in the USA. Designed to fit most adult wrists; a contemporary fashion accessory for today's Christian woman. I'm the author/artist and I want to review Bethlehem Cross Bracelet, Crystal.